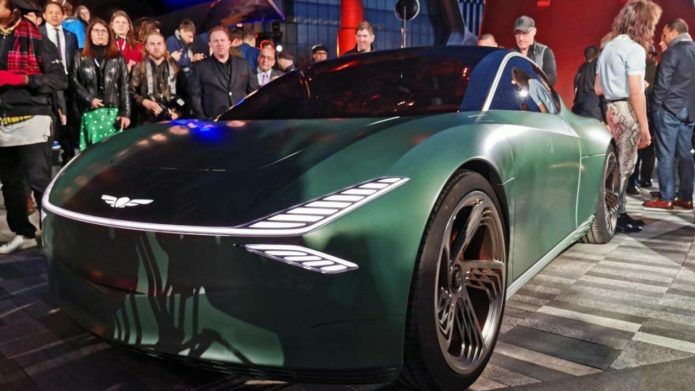 Genesis has unveiled a concept car at the New York Auto Show that is called the Mint Concept that it says introduces a new “typology” for the premium city car. The car has a simple and attractive exterior design and a “decluttered” interior that is minimalist and premium at the same time. The Mint Concept is an electric luxury city car that is designed to be a lightweight runabout that has a new shape for a city car that Genesis says is tailored to the modern lifestyle.